Michael Evon has been hired by the Marathon County Sheriff's Office to be our Radio Technician. Michael is replacing Alan Wisler, who recently retired. Michael has over 15 years of experience working as a radio technician with a majority of those being at Northway Communications. 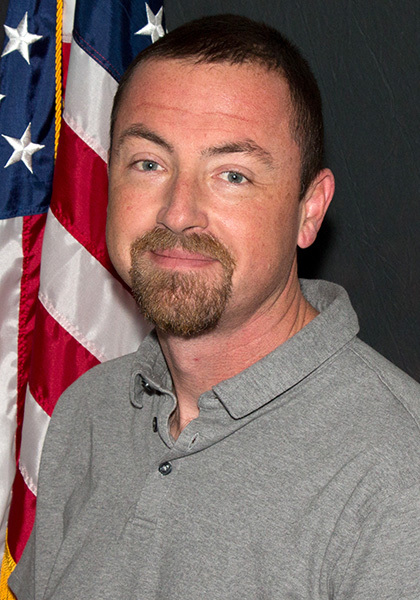 Michael is familiar to local law enforcement as he has assisted in outfitting patrol cars for the various municipal agencies in Marathon County. Michael's duties will be to keep our radio system operating effectively and efficiently and installing the various equipment needed to communicate and illuminate our patrol cars, such as the radios, cradle points, emergency lighting and working with our IT personnel on the mobile data computer systems. It is wonderful to hire someone with Michael's expertise, who can step in and continue the radio technician service we have come to expect. Welcome Michael!